So you want to heat your home with wood? Wood caters to all your senses while heating your home; there is nothing like the smell of a wood burning fire, the sound of a crackling log or the mesmerizing look of the flames as they dance around from log to log. Sounds amazing, right? In order to create fire you need three things. You need fuel (wood), air (oxygen) and heat (a spark or ignition); these are called the “combustion triangle”. Once your fire is started you need wood (fuel) and air to keep it going; if you want to keep the fire burning longer, add wood when it starts burning down. If you want more heat and a bigger flame, add more air! Getting the right combination of fuel and air creates the longest burn times, best heat and highest efficiency. The type of wood used will also make a big difference in the efficiency of your wood burning unit. Each type of wood creates different BTUs when burned; the higher the BTU, the higher the heat output of that wood. Burning a good hardwood is the ideal choice. Here is a chart of some commonly available wood types and their heat output. One other thing that is very important about burning wood is making sure you are burning “seasoned” wood. This term comes from letting wood dry, or “season”, for a year once it has been cut; whereas freshly cut wood is called green wood and won’t burn. Even adding green wood to an already burning fire will steal most of the fire’s heat in order to dry the wood to a point where it can catch fire; while this is happening, it also creates Creosote. Creosote forms when the smoke from this process cools and forms a tar like substance in your heating appliance and chimney or venting; it is also highly flammable and can create many safety issues. How do you know if your wood is seasoned? Seasoned wood is rated by its moisture content – the percentage of moisture still in the wood; too wet isn’t good, but too dry isn’t either as it can burn too quickly. The best moisture content is about 15-20%, and the best way to test it is with a moisture meter. Meters are readily available from most fireplace dealers in your area, cost about $30-$50 and are a wise investment! OK, now that you’ve got a better understanding of wood itself, let’s get to know wood heating in your home and what the best options for you are. It all starts with the appliance. 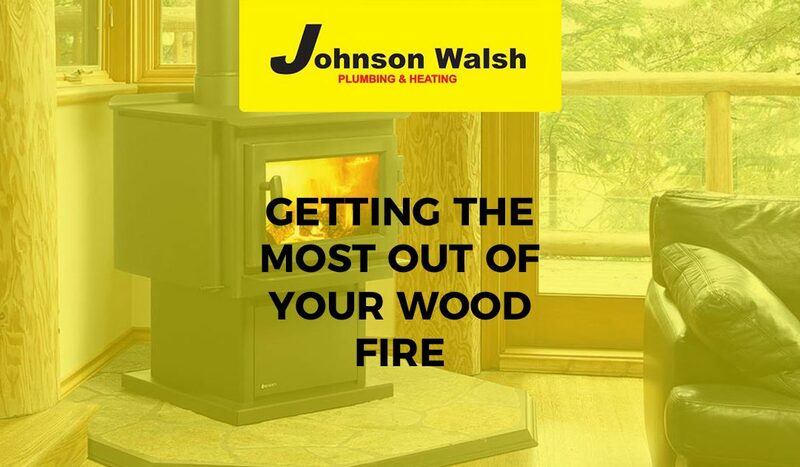 There are three basic types of wood appliances: inserts, stoves and factory built fireplaces. A wood insert is designed to be installed into your existing wood burning fireplace, making it more efficient by turning your drafty 15% (on average) efficient fireplace into an 80-90% efficient home heating machine! For example, a Regency CI2600 wood burning insert has up to 14 hours of burn time and is over 86% efficient! Don’t have a fireplace? Or, you do, but want more heat in another part of your home? A wood stove can be placed almost anywhere in a home, and they can be connected to an existing chimney or you can install a factory built chimney. A wood burning stove can add direct heat right to the room it’s in, but also naturally convects heat to other parts of your home. Heat where you want it, and then some! Popular options for a wood burning stove are Regency’s F3100 or F3500. These larger units provide ample heat for the majority of medium to large homes. Regency has recently introduced a new, freestanding wood fireplace, the Regency Contura Ri50. This beautiful, Scandinavian-designed fireplace offers a modern contemporary design with the warm romance of a wood fire. The Ri50 allows for the best of both worlds between a fireplace and a freestanding stove and can be installed with or without a chimney. One thing to remember is to size the appliance correctly, so that the unit fits not only the size of your home, but also your heating expectations. Any authorized Regency Dealer would be more than happy to discuss the best options and units for your needs.